Let’s talk about the most magical holiday experience we have ever experienced. Christmas at Gaylord Palms was the highlight or our recent visit to Florida. The list of things to do can fill your vacation for sure. But the first thing I need to mention is how beautiful the Gaylord Palms is. 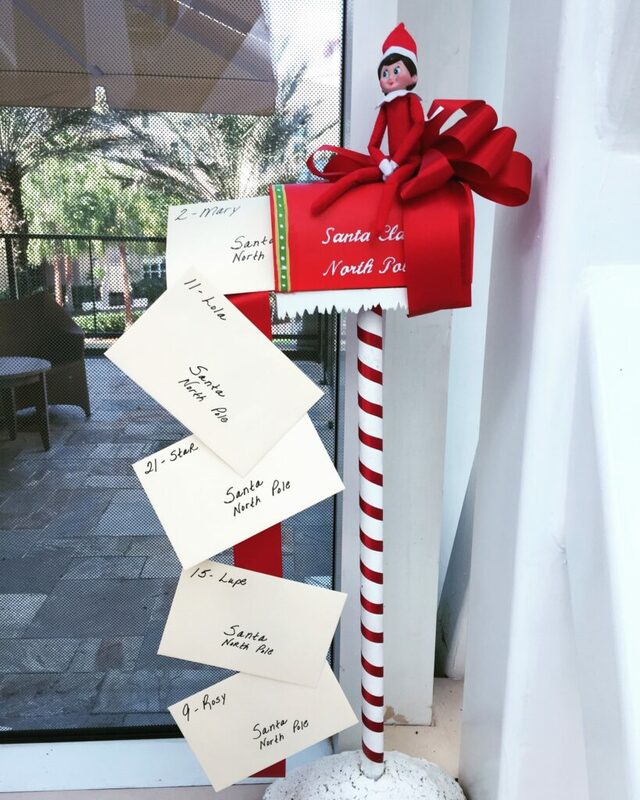 I’ve talked about the resort before, but this is the first time we have visited during the holiday season, and now I want to come every year. I wish we lived in Florida because I would make this a family tradition. The Atrium is decorated with lots of lights and Christmas trees. The outside is also decorated with lights and fun decorations. Check out the view from our balcony overlooking the giant tree in the Atrium. We arrived at the Palms after a day at Disney Hollywood Studios, so it was dark. We unpacked our belongings and got into our pajamas; then my daughter noticed the lights come on. We all rushed out onto the balcony in time to see the lights flicker to life. There was a collective, “WOW,” from all of us. It was so pretty. 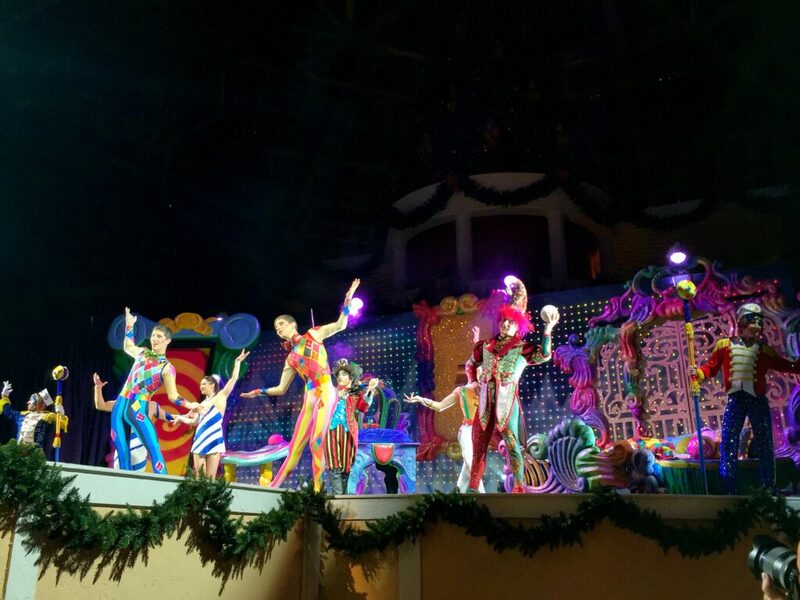 We also had an amazing view of the Cirque Dreams Unwrapped show. With great music and acts to watch, it’s a show not to be missed when you visit. There are different performers also, so each show is different because they rotate the performers out to give them a chance to rest. There is even some audience participation during the show. My favorite aspect of the show was the violin player; he was amazing. 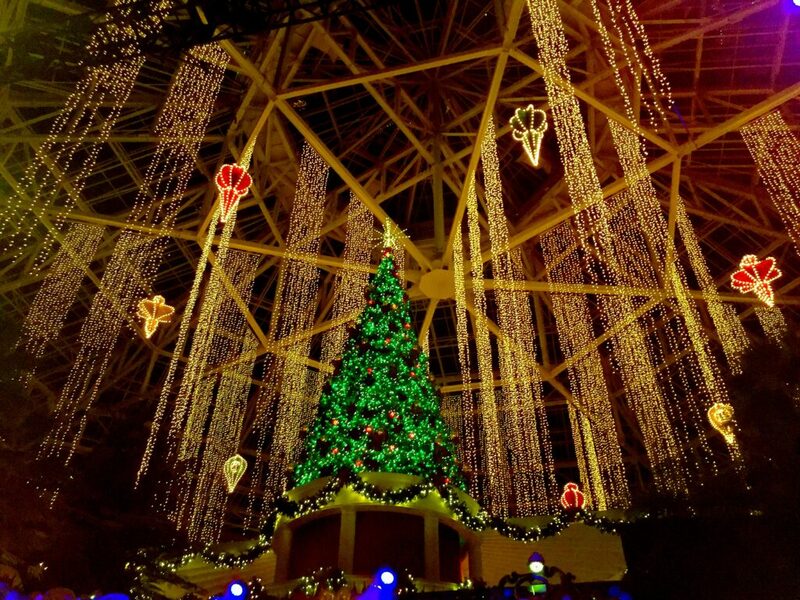 But the highlight of the Christmas at Gaylord Palms during the holidays is ICE! See Ma in her kerchief, Pa in his cap and more as the classic holiday poem, ‘Twas the Night Before Christmas, is brought to life in TWO MILLION pounds of hand-carved ice sculptures, including two-story tall ice slides. This awe-inspiring experience concludes with the wonder and majesty of a full Nativity in stunning, crystal clear ice. You get bundled up before you enter the 9-degree room! Keep your phones in your pocket, my battery froze and shut down while I was taking pictures. The resort has these super thick parkas to wear over your clothes, which is great if you are visiting Florida and didn’t pack accordingly. 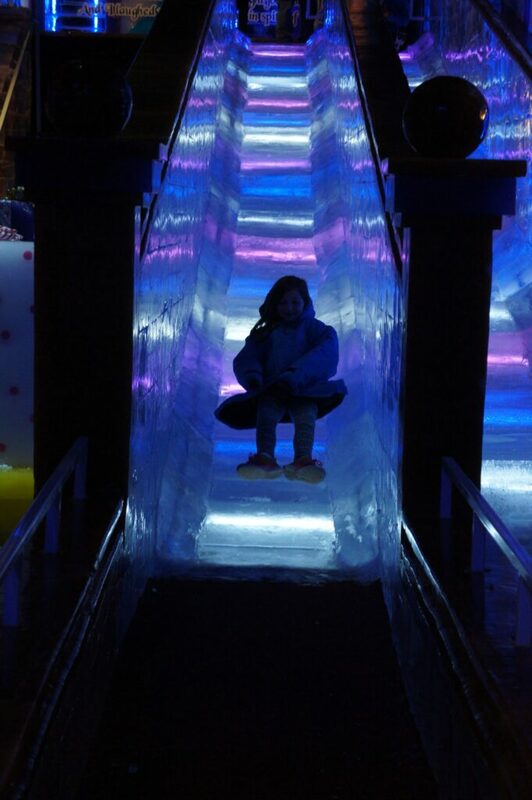 The trouble is pulling your kids away from the four ice slides located in the middle of the walkthrough experience. 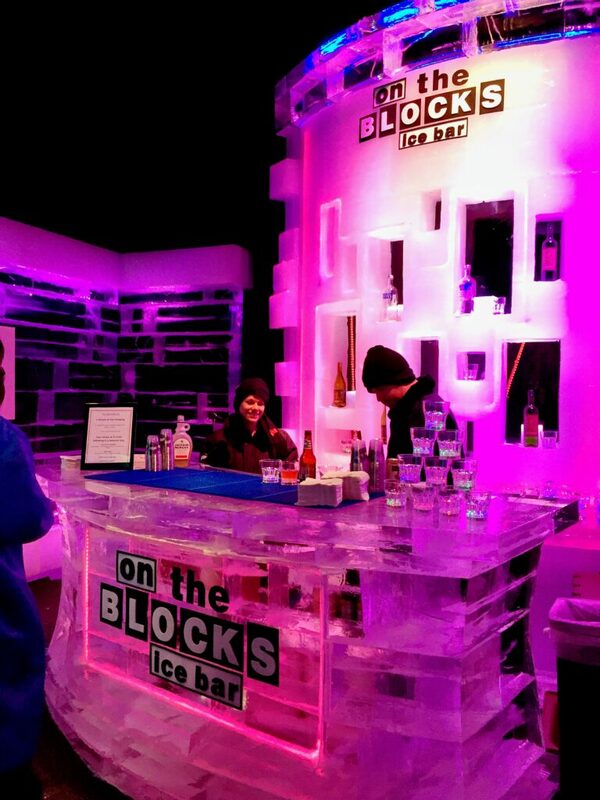 The same can be said about adults that found themselves at the coolest bar in the South, On the Blocks Ice Bar. You can get a cocktail to enjoy while you walk through the ‘Twas the Night Before Christmas story. Did you know that you can see snow in Florida also? The Alpine Rush Snow Tubing hill, found inside the Alpine Village, is an eight-lane snow tubing hill with real snow! And let me tell you, they go fast! We had such a blast going down this hill, and it is unlimited rides so do it over and over. There is a fantastic Christmas shop that you can find some unique gifts and even a pop-up Build-a-Bear workshop. Don’t forget the visit with Santa. I suggest dressing warmly for your visit to the Alpine Village inside the Gaylord Palms. Despite the fact that you are inside, they keep it cold for the snow. Plus, even with the parka on, we were still freezing. Bring earmuffs and a pair of gloves, so you can stand to be in the ICE! Exhibit longer. Trust me, you will want to, I’ve never seen anything like this, and it is truly an amazing must see. During our last day, I let me husband pack us up while I took the girls with me to do the Elf on the Shelf Scavenger Hunt. 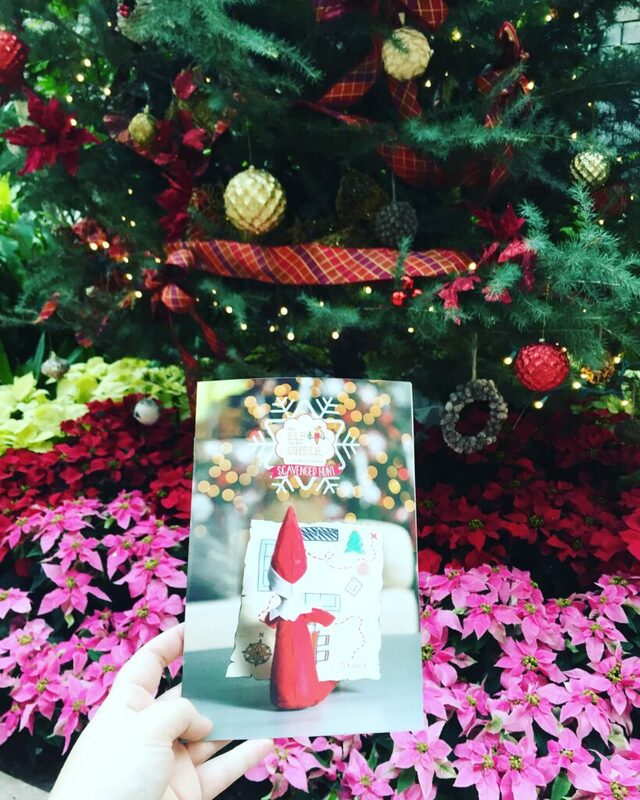 You’ll need to pick up a booklet at the Front Desk; it is filled with puzzles and riddles to help you find the Elves hidden around the entire Gaylord Palms resort. But it isn’t about just finding them around the resort. You’ll need to complete the puzzles in the booklet to find out the elves names. 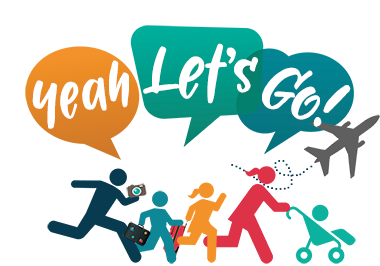 When you’re wiped from visiting parks around Orlando, pop into the Gaylord Palms for an all day adventure. I highly suggest staying here; it’s our favorite resort in all of Florida. It’s just amazing. I can’t wait to visit during the holidays again. My family was hosted at the Gaylord Palms for my honest review. All opinions are my own. We love this resort.